No desert oasis can escape the holidays without a lit cactus display. But what you’ll find at the Ethel M. Chocolate Factory, is truly remarkable. The walkable cactus garden on the grounds of the Ethel M. factory, contains a great variety of cactus species that each year for the holidays are (painstakingly, ask the groundskeeper) decorated with thousands of LED lights in brilliant displays that fill the many trees and cacti with colorful lights. The display opens each day at 5pm and features performances by local choirs and appearances by Santa on the weekends. Tour the garden, then pick up some delicious Ethel M. chocolates to really make this a sweet holiday treat. The Ethel M. Holiday Cactus Garden is on display until Jan. 1. Local non-profit Opportunity Village sets up a special glittering and exciting Winter Wonderland to explore each year. Visit the Magical Forest, which is open daily at 5:30pm through Jan. 3, to see hundreds of beautifully lit trees, ride on an enchanted carousel and the Forest Express Passenger Train, play some holiday miniature golf and take pictures with Santa. Keep in mind that your ticket purchase helps support a great local organization that holds a special place in the hearts of Las Vegans. Springs Preserve, the local ecological garden that celebrates and explains our desert ecosystem with 180 acres of walking trails, gardens and displays, breaks out during the holidays with its own special winter events. Head to the preserve on Family Night at the Museum on Dec. 19 from 5pm to 9pm to watch holiday classic “A Christmas Story” on the big screen while enjoying pizza and snacks. From Dec. 20 to Dec. 24, ride a train to Santa’s cottage for candy canes and holiday stories. With tons of events throughout the year, this is a really great place to get to know. Our new and acclaimed performing arts center, the Smith Center for the Performing Arts, is geared up for classical and more contemporary holiday productions. For live holiday-themed entertainment, you’ll find some wonderful options to choose from at the Smith Center. 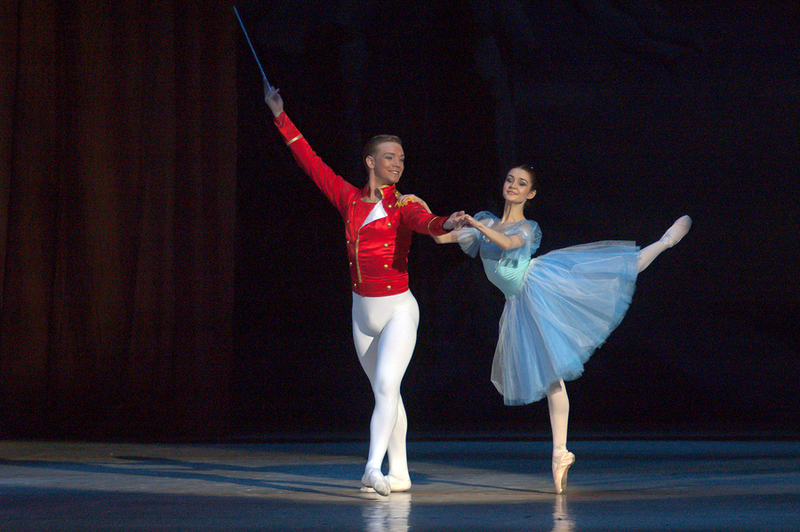 This year’s productions include “The Nutcracker” on Dec. 18, 19 and 20, a classic ballet based on a holiday story. On Dec. 19, singer Kristen Hertzenberg and pianist Philip Fortenberry perform cabaret jazz with “Holidays from the Heart.” And you can swing into 2016 on New Year’s Eve with a Las Vegas favorite singer, Clint Holmes along with many others in a celebration of Broadway Hits. Each year, the nearby City of Henderson puts on an great hometown seasonal celebration in mid-December called WinterFest. The 2015 theme,which takes place December 10-12 is “Christmas Stories” and featured a parade, tree lighting ceremony and tons of local foods and fun activities. Far beyond the Strip, Las Vegas is a booming and growing city with lots of things for families to do. You’ll find more holiday events in your neighborhoods and local communities, too, whether you’re in Summerlin, Green Valley or out in Mesquite or Boulder City. There’s always something new going on in Las Vegas. Move4Less wishes you and your family a wonderful holiday season.